 Metal & Alloy Processor | Custom Alloys Inc.
Our team is dedicated to helping you with our superior customer service, quality products, and competitive rates. Please feel free to contact us. We look forward to hearing from you! CAI Custom Alloys, Inc. processes high-temp, aerospace, and industrial alloys that are individually analyzed for the greatest accuracy possible. CAI Custom Alloys, Inc. is a quality driven processor serving several industries. Don't forget to check out the CAI Custom Alloys, Inc. brochure. ©2019 CAI Custom Alloys, Inc. | All rights reserved | Powered by Metro Studios.